One HGV directed to garage for "urgent repairs"
Some 12 cars were impounded by gardai in County Kildare yesterday, Wednesday, March 20, as part of a multi-agency checkpoint operation. The cars were impounded at checkpoints in Newbridge/Athgarvan, Monasterevin and Kilcullen for having, variously, no insurance, tax or NCT. 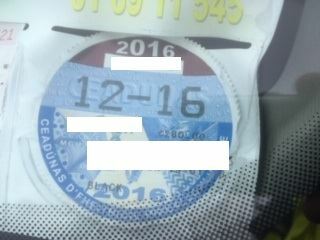 According to gardai, two motorists who turned back from checkpoints were found to be unaccompanied learner drivers. One vehicle was also found to be dangerous and defective. Some 42 fixed charge penalty notices were issued for various road traffic offences. RSA officials at the checkpoints detected 12 defects on HGVs, and one of those lorrys was directed to a garage for urgent repairs. Customs officials dipped over 110 vehicles and detected 10 VRT offences for investigations. Revenue official carried out numerous checks resulting in 19 follow ups. According to gardai, who thanked the public for their cooperation, court appearances will follow for offenders. The checkpoints were carried out jointly by the Naas Roads Policing Unit Naas, Customs and Excise, Revenue and the Road Safety Authority.